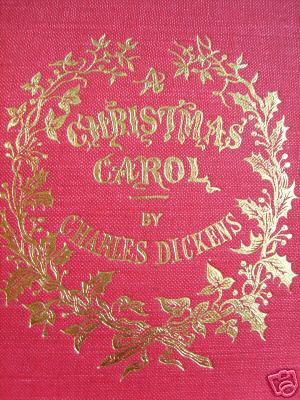 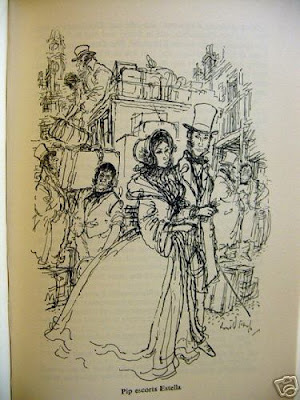 Back to Charles Dickens for a post. 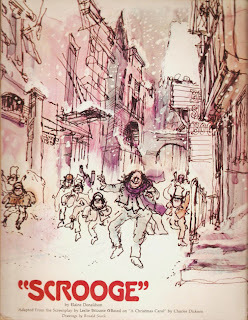 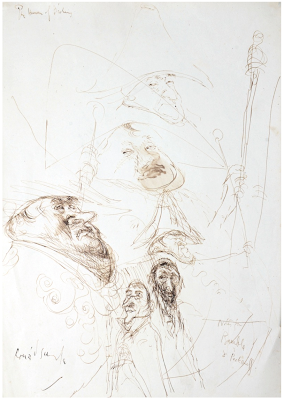 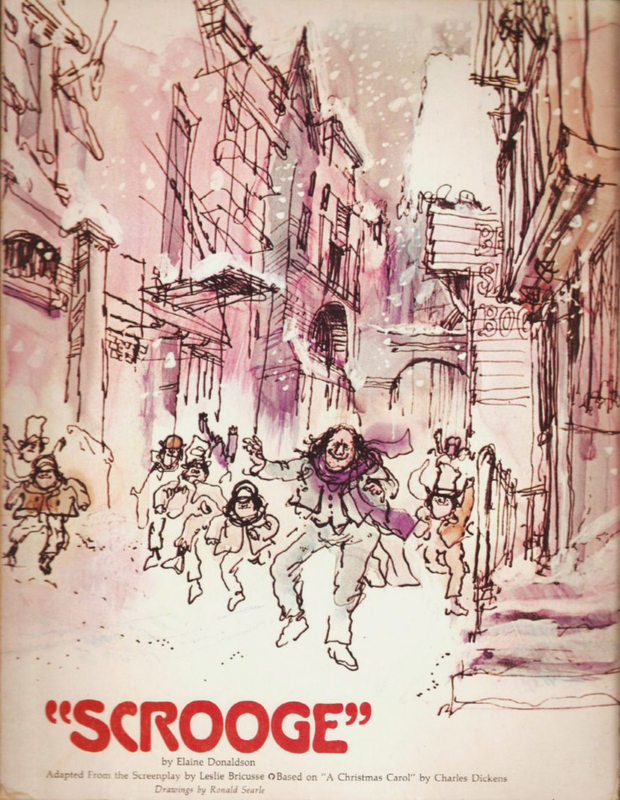 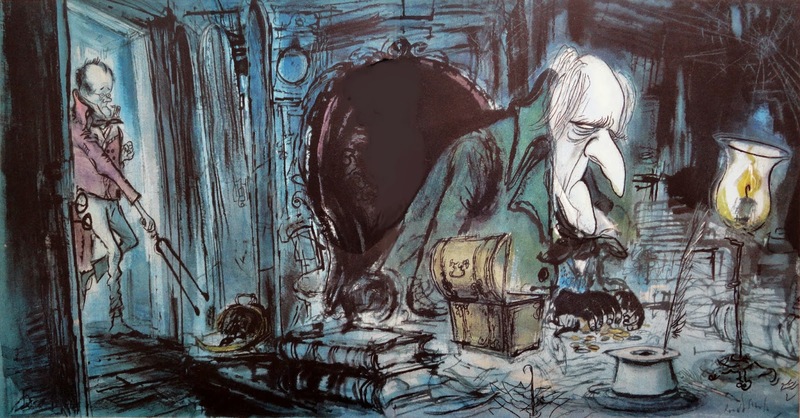 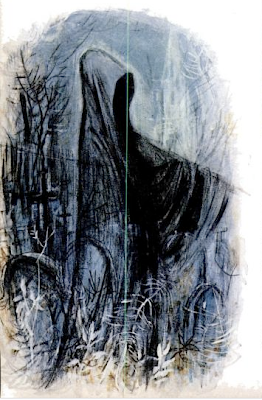 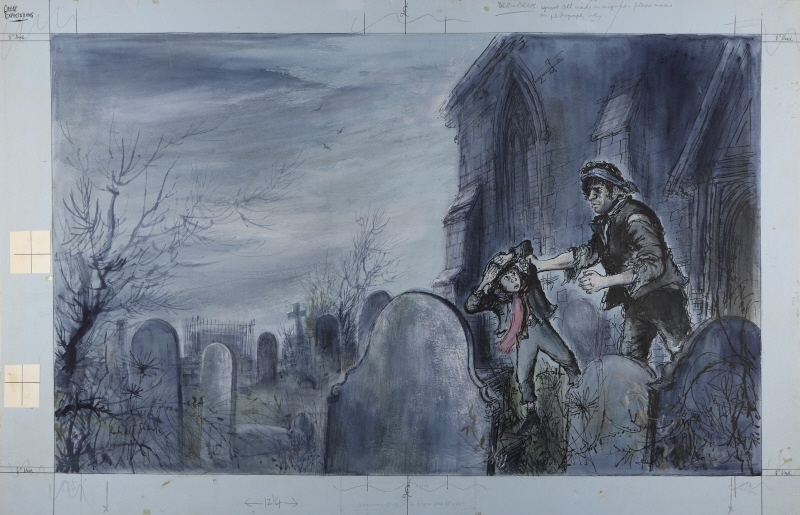 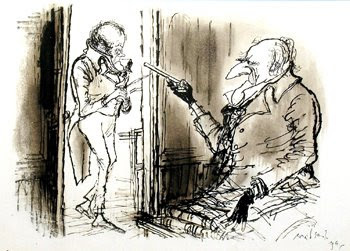 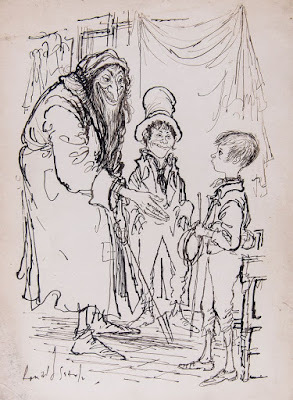 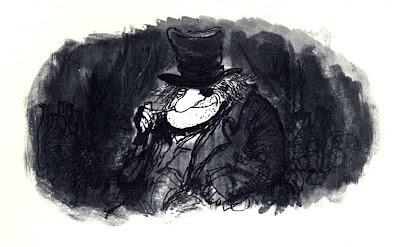 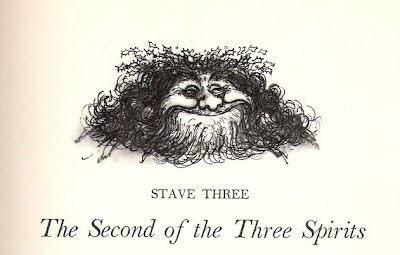 The 'Scrooge' film was released in 1970 & Searle was hired to provide the title artwork no doubt in part due to his illustrated version of the novel published previously in 1961. 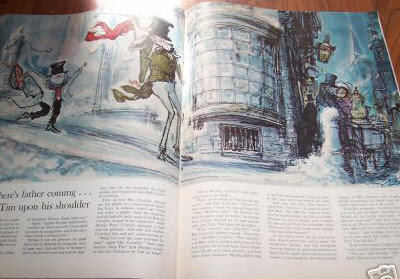 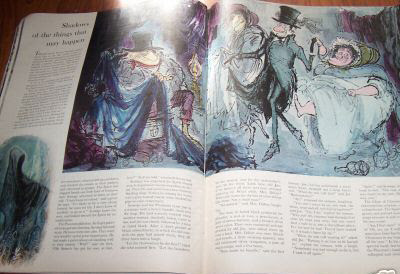 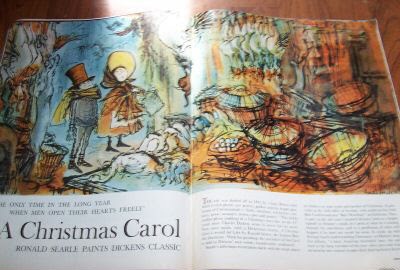 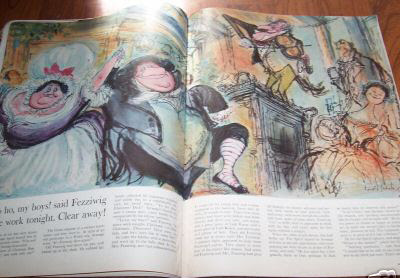 The December 19th, 1960 issue of LIFE Magazine had a special spread promoting the release of the Searle illustrated Christmas Carol. 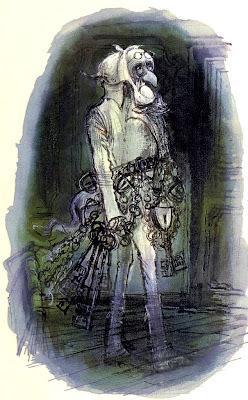 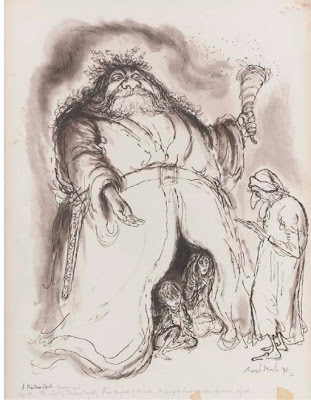 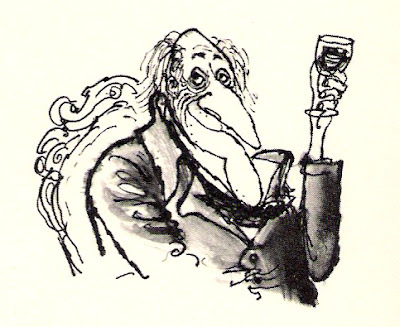 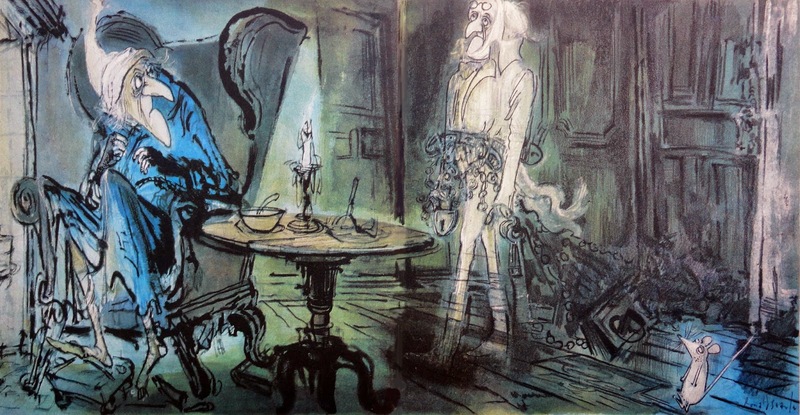 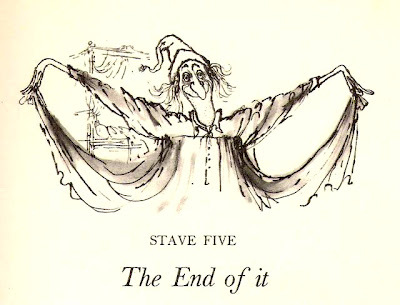 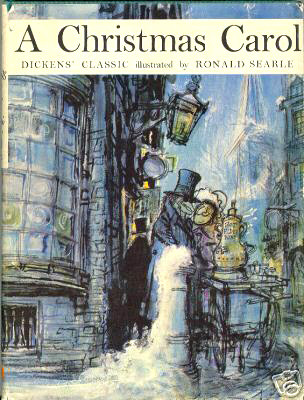 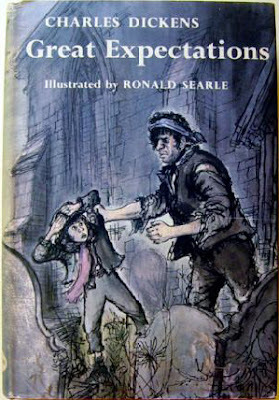 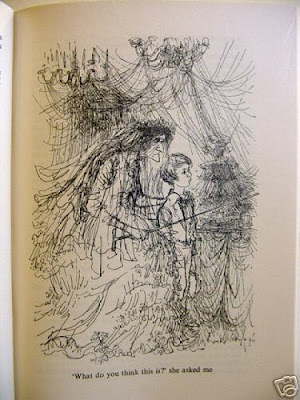 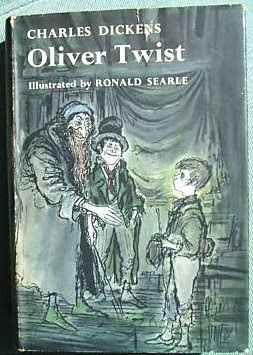 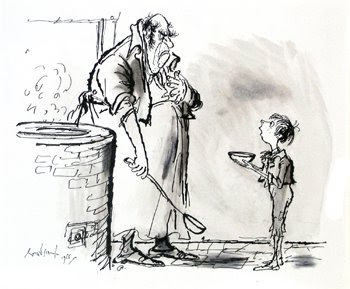 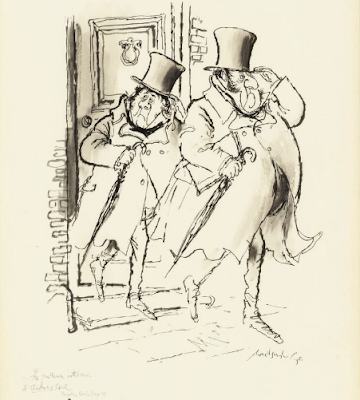 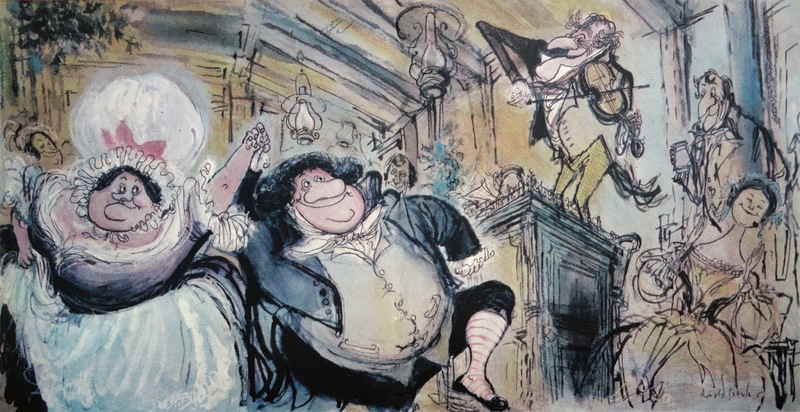 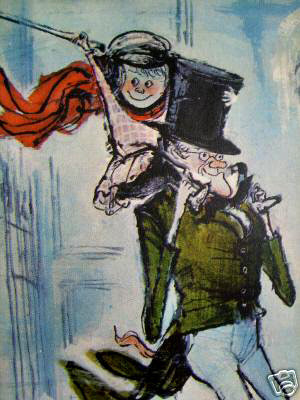 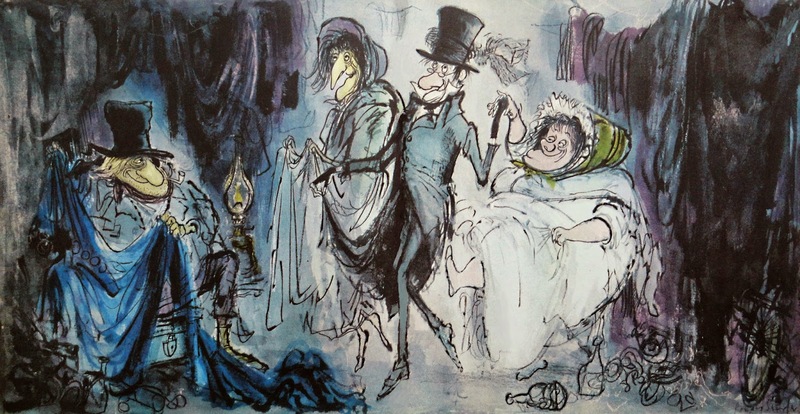 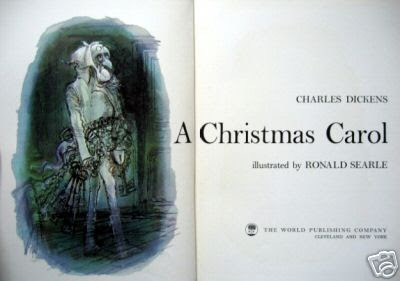 Searle's version of 'A Christmas Carol' must have been successful because it was swiftly followed by Searle illustrated editions of 'Great Expectations' and 'Oliver Twist' both published in 1962. 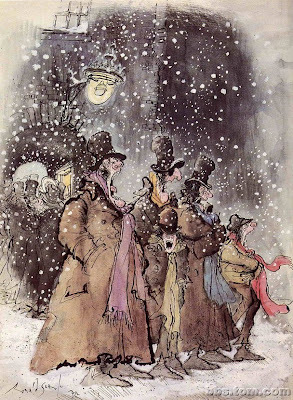 "Searle . 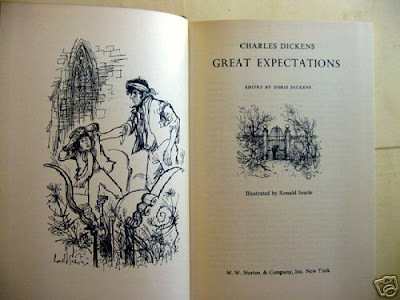 . . found Dickens exhausting to do. 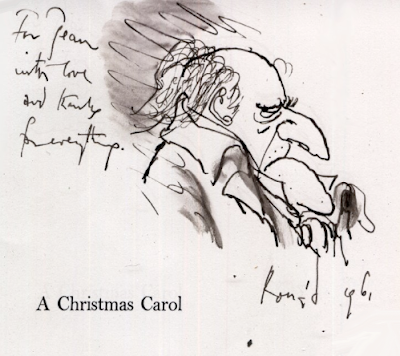 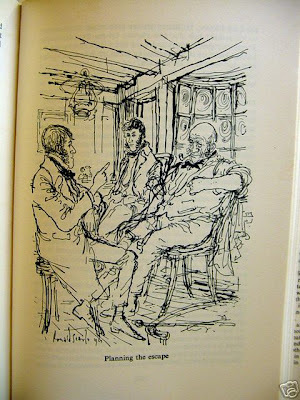 'Ideally Dickens should have no illustrator . 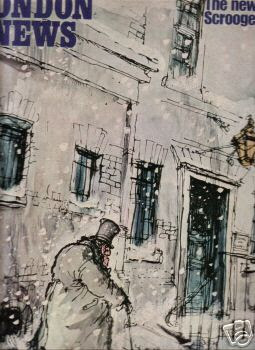 . . by tradition he always has . 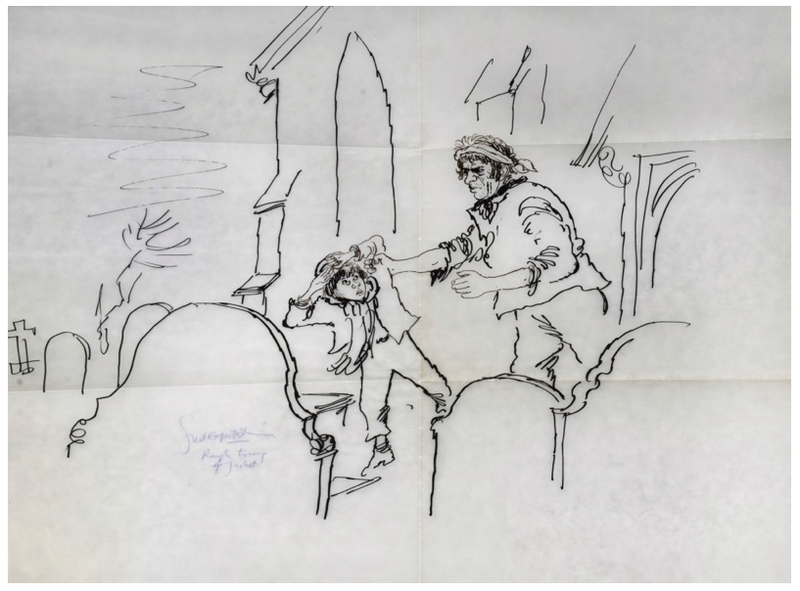 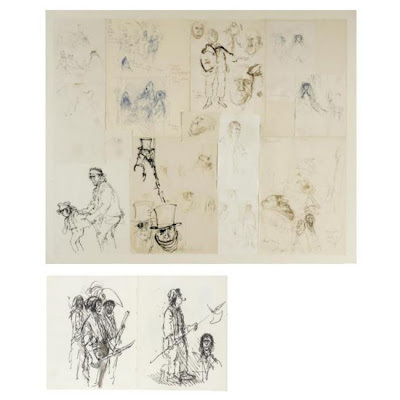 . . Technically the drawings are deliberately fussy and nervous in line - a direct reflection of the exploratory sketches which were made during the second reading of the book and were, so to speak, hot from the 19th-century oven. 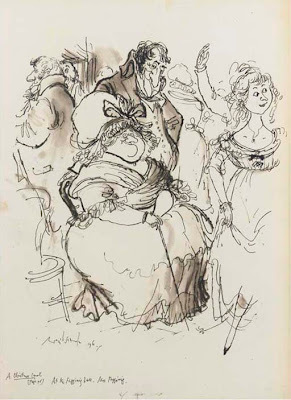 The limitations were: that the drawings could only be in line and were to be reproduced in a small book on poor quality paper. 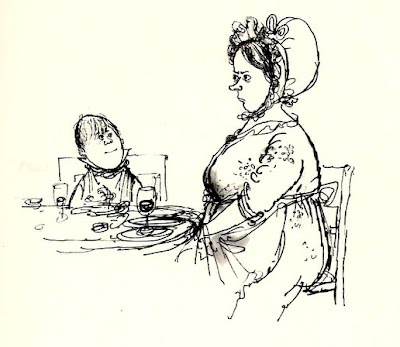 Which they were." 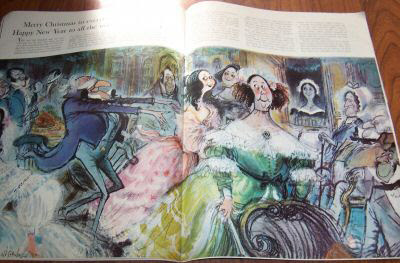 THE ILLUSTRATED LONDON NEWS magazine dated November 28 1970 - front cover design by RONALD SEARLE. 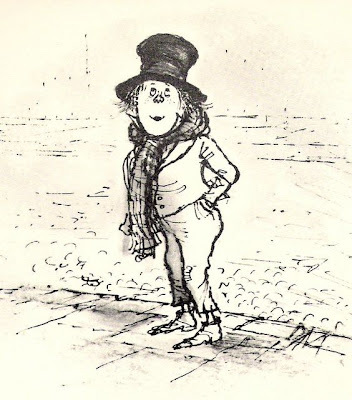 Great post Matt - inspiration is always welcome!!! 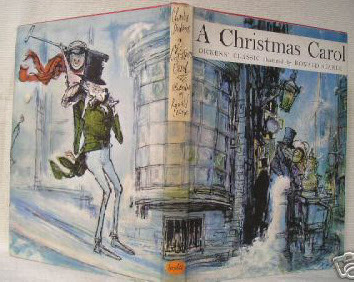 i've got to keep my eyes out for these at Smith Family Books here in Eugene! 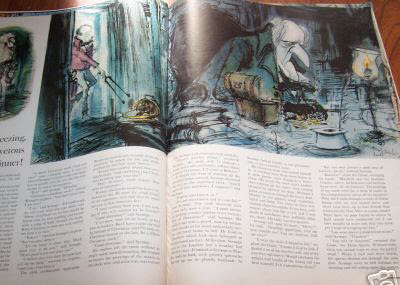 These look like TREASURES! 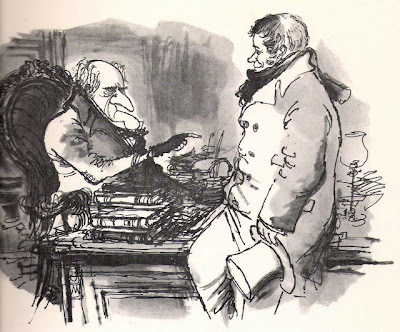 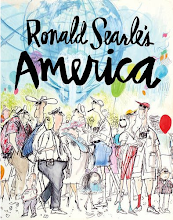 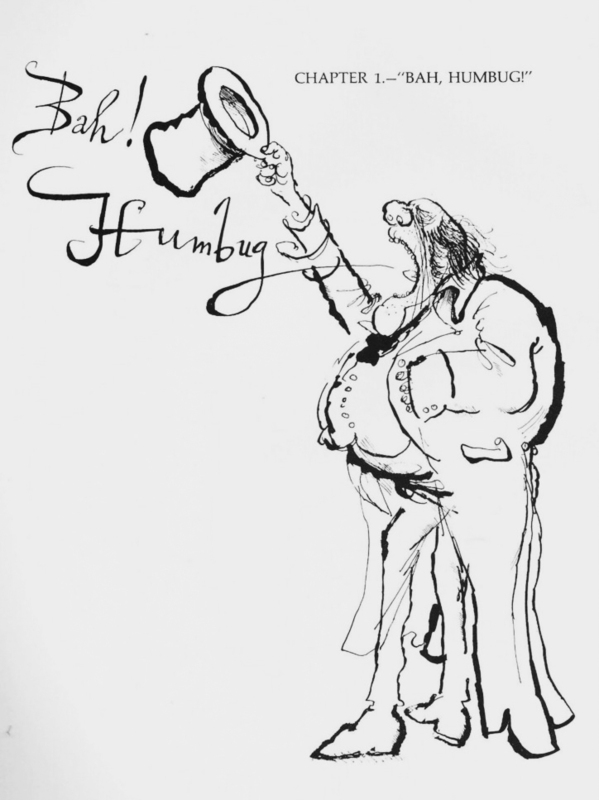 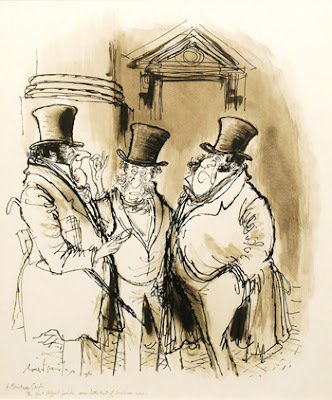 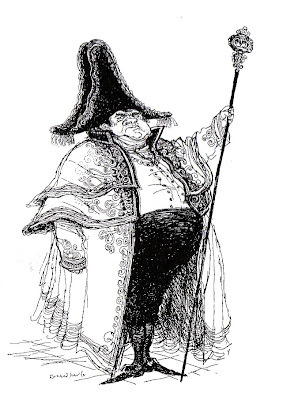 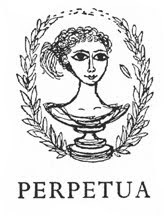 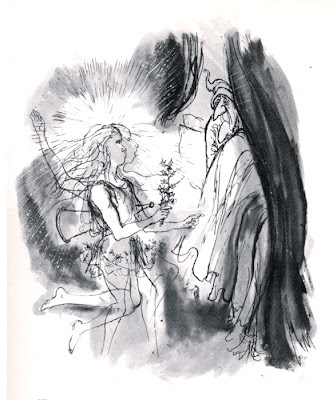 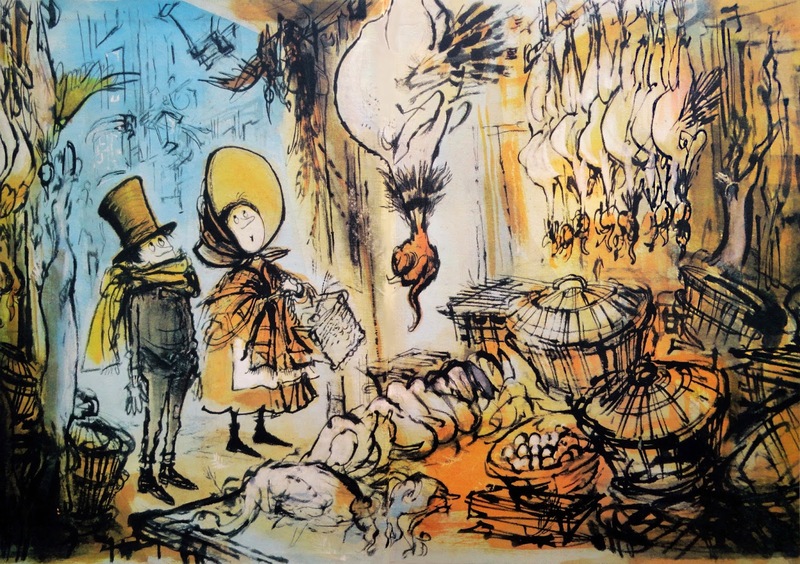 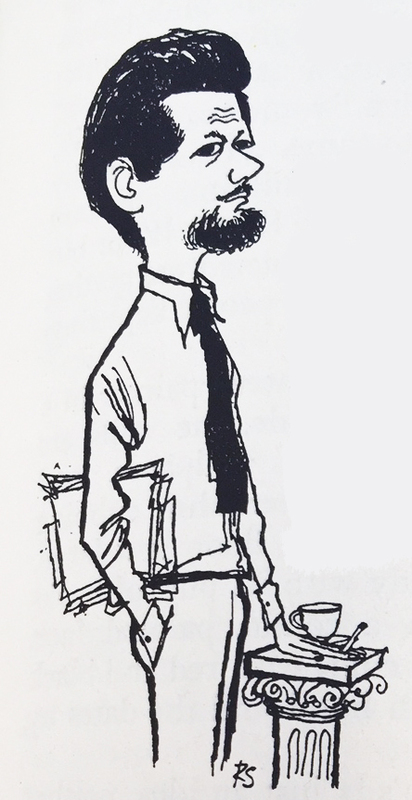 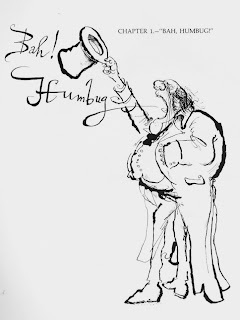 great blog, i really like ronald searle's work! 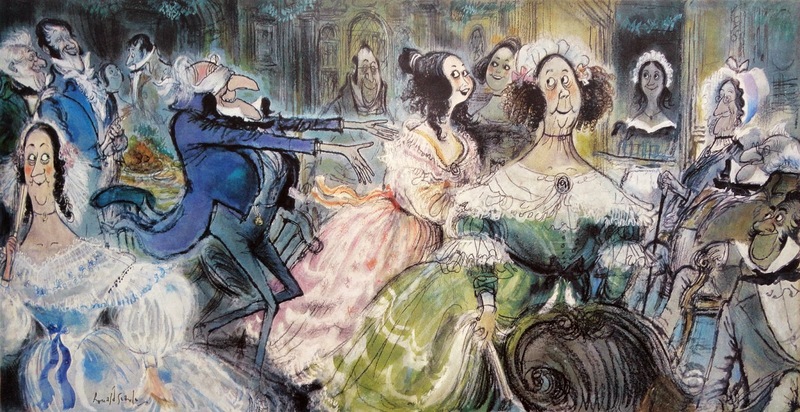 Yet another Searle exhibition. . .